Happy New Year! 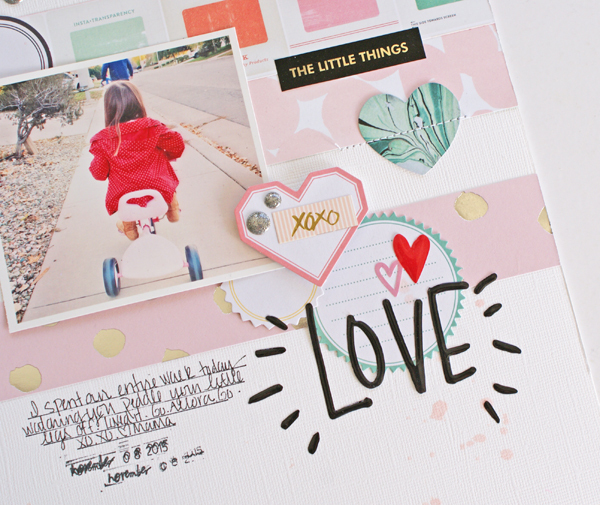 Today I am happy to start the new year off with the reveal of January's beautiful kits from Gossamer Blue! When I received the January Kits, it was December and I was deep in all things Christmas and opening up my box of goodies was a very much needed reprieve from all the holiday madness. Creating with the kits was like working with a breath of fresh air and I am sure you will find them perfect for starting off a new year of memory keeping! 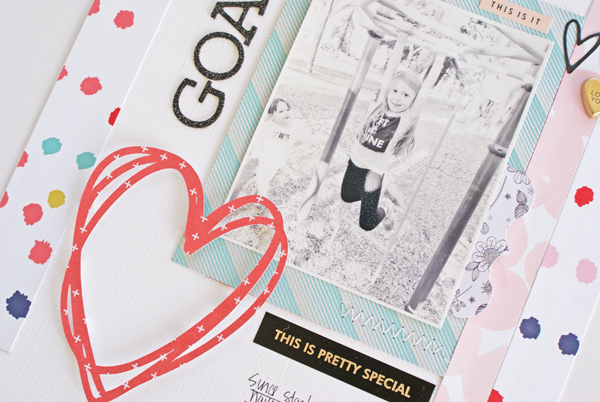 After laying down strips of patterned paper, I went to town with the labels from Fancy Pants and paired them with the puffy hearts from Crate Paper's Valentine's collection. 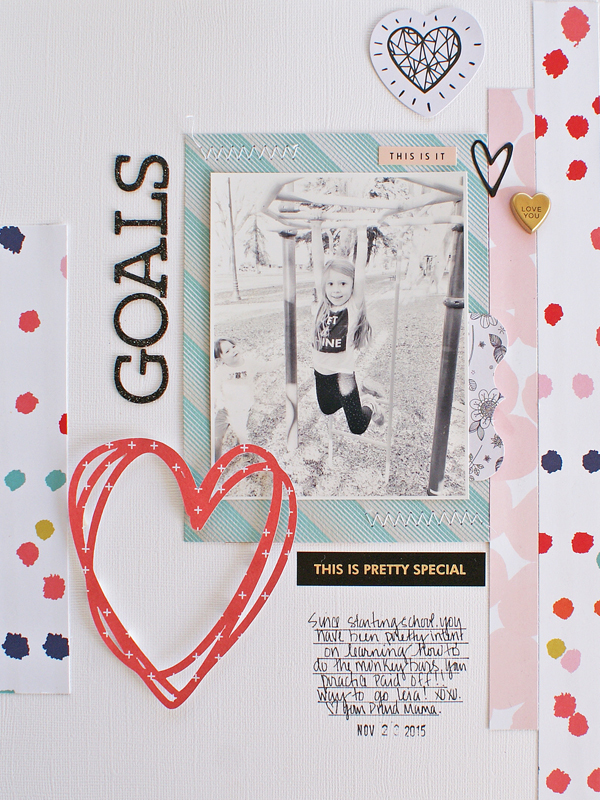 This next layout, Goals, ended up being my fave color wise-I mixed the patterned papers from the Main Kit with the paper from the Bits and Pieces add-on (which included a 6x6 paper pad from Fancy Pants) and created a cool (as opposed to warm) color combo which complimented the black and white photo. Hearts again were my choice of embellishment and I even cut one on my own with my Silhouette. The paper pad comes in super handy for making die cuts. 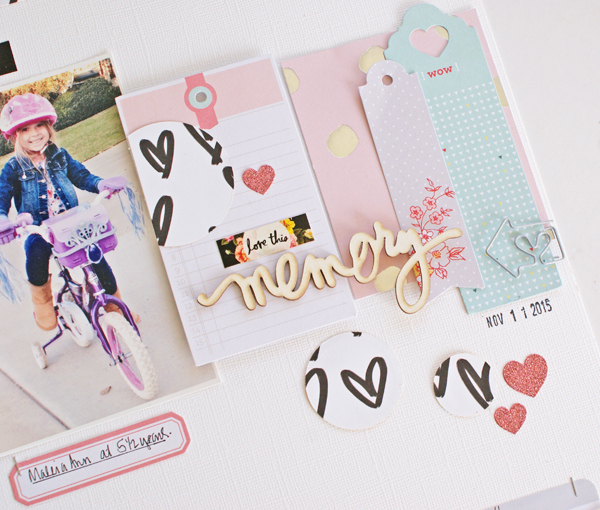 My final layout for today features tags from Fancy Pants along with the "memory" wood veneer. 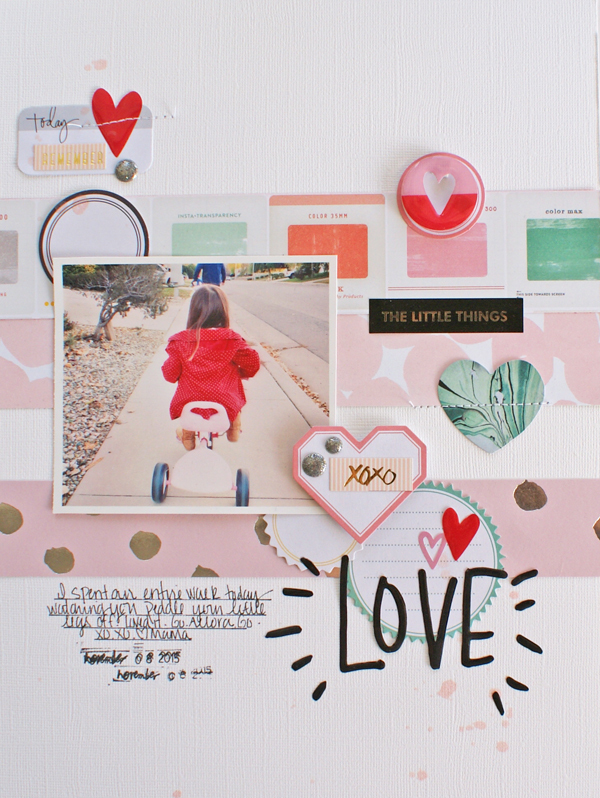 All of my projects were made with a mix of the Main Scrapbook and Life Pages Kits, along with both the Bits and Pieces and Life Pages Themed Add-ons. You can see all of the kits here.